“Hide the decline” refers to the decline in the Briffa MXD temperature reconstruction in the last half of the 20th century, a decline that called into question the validity of the tree ring reconstructions. (I’m going to analyze the letters on another occasion.) In the IPCC Third and Fourth Assessment Reports, IPCC “hid the decline” by simply deleting the post-1960 values of the troublesome Briffa reconstruction – an artifice that Gavin Schmidt characterizes as an “a good way to deal with a problem” and tells us that there is “nothing problematic” about such an artifice (see here. Interestingly, the values from 1402-1994 were sent from Tim Osborn to Michael Mann on a couple of occasions, including here. Here’s a comparison showing the portion that was deleted from the NOAA archive in red. This entry was written by Stephen McIntyre, posted on Nov 26, 2009 at 3:25 PM, filed under climategate, General and tagged briffa, decline, hide the decline. Bookmark the permalink. Follow any comments here with the RSS feed for this post. Both comments and trackbacks are currently closed. Hi, I am looking for the answer to a question related to this topic. Are there any global temperature reconstructions available which do not depend on dendrochronology data? this is the first version the new version is unfortunately unavailable anymore. love your name by the way. So if a sceptic posted a reconstruction with a late 20th or 21st century warming deleted, would any AGW proponent complain? I can answer that. Yep, and would still be whining after it is corrected. Re: Gerald Machnee (#3), And rightfully so. One should not doctor data to fit your prejudices. In fact I use this in a powerpoint presentation…So this news is not new to me – what really amazes me is how other ppl did not download such a vital document at the time… go figure! After this so-called “Climategate” event I just couldn’t expect anything else. The recently revealed facts are worse than we thought. To capture the public imagination, we have to offer up some scary scenarios, make simplified dramatic statements and little mention of any doubts one might have. This “double ethical bind” we frequently find ourselves in cannot be solved by any formula. Each of us has to decide the right balance between being effective, and being honest. Further context to this quote is provided by Nosmo in the link you posted. After this so-called “Climategate” event I just couldn’t expect anything else. The recently revealed facts are worse than we thought. Schenider says he aims at being both effective and honest. Those who saw his January 2002 attack on Bjørn Lomborg in Scientific American may wonder whether he always achieves either. This gives both the source and a comment. Of course, given arguments I’ve seen wrt the e-mails, I’m sure some will try to argue about what the meaning of the word is is. He sums up the non-scientists dilemma quite eloquently. I do not think it is sensible to compare a publicly made statement with internal CRU correspondence. As a non scientist, my reading of this comment lines up quite well with what ‘Pops’ had to say. Also it is relevant to the reason why I am now lurking on this web blog and recently shifted from believer to sceptic – a loss of trust and confidence in the scientific community and my new-found unwillingness to take what is presented to me by the scientific community via the media on this issue at face value. Presumably the point is that (using the figures in the linked CRU email) the average implied by the tree rings for 1961-1994 [the start of the cut off to the end of the series] was below the average for any similar length period before 1584 [back to the start of the series in 1402]. So the question is whether this can provide any evidence as whether (summer) temperatures at the end of the 2nd millennium were higher or lower than those in the middle of the millennium or before. That is possibly why the NAS panel was happy to draw conclusions about the last 400 years but not earlier. If 1961-1994 tree-ring data are simply to be dropped as having a bad match to actual temperatures, then the question is whether a proxy which seems to match temperature for a particular period of 80 years [1881-1960] but not a period of 34 years [1961-1994] can be expected to tell us much accurately about other periods of hundreds of years. Perhaps something happened from 1961 onwards, but how do we know that something else did not happen earlier. Finally there is the problem that any smoothed version of this tree-ring derived data will visibly peak around 1940ish. There are various solutions, including showing the decline in the tree-ring data, or truncating at 1940, or cherrypicking the very few tree-rings which have a suitable pattern all the way into the 1990s, or fusing non-tree-ring numbers in the later averages (the trick), or literally covering up the line by sticking other spaghetti graphs on top, or giving up on this approach with tree-rings. You do great work here Mr. McIntyre. Your efforts are appreciated. Thank you. Schneider is quoted in Jonathan Schell, “Our Fragile Earth.” Discover, October, 1989, pp. 45-48. See also Stephen Schneider, “Don’t Bet All Environmental Changes Will Be Beneficial,” APS (American Physical Society) News, August/September 1996, p. 5. Available at home.att.net/~rpuchalsky/sci_env/sch_quote.html. Speaking of admitting deception, this comes from James Hansen: “Emphasis on extreme scenarios may have been appropriate at one time, when the public and decision-makers were relatively unaware of the global warming issue, and energy sources such as “synfuels,” shale oil and tar sands were receiving strong consideration.” Source: James E. Hansen, “Can we defuse the global warming time bomb?” Natural Science, Aug. 1, 2003. Available at naturalscience.com/ns/articles/01-16/ns_jeh6.html. Then there’s Al Gore: “In the United States of America, unfortunately we still live in a bubble of unreality [about global warming]. And the Category 5 denial is an enormous obstacle to any discussion of solutions. Nobody is interested in solutions if they don’t think there’s a problem. Given that starting point, I believe it is appropriate to have an over-representation of factual presentations on how dangerous it is, as a predicate for opening up the audience to listen to what the solutions are, and how hopeful it is that we are going to solve this crisis.” Source: David Roberts, “Al Revere: An interview with accidental movie star Al Gore.” Grist, May 9, 2006. Available at http://www.grist.org/news/maindish/2006/05/09/roberts. In short, the threat is being systematically exaggerated, and Schneider, Hansen and Gore even admit this. There’s lots more, but apparently you can find his words quoted in Discovery Magazine…. or were you figuring that the quote was made up? Phil Jones has publicly gone on record indicating that he was using the term “trick” in the sense often used by people, as in “bag of tricks”, or “a trick to solving this problem …”, or “trick of the trade”. In referring to our 1998 Nature article, he was pointing out simply the following: our proxy record ended in 1980 (when the proxy data set we were using terminates) so, it didn’t include the warming of the past two decades. In our Nature-article we therefore also showed the post-1980 instrumental data that was then available through 1995, so that the reconstruction could be viewed in the context of recent instrumental temperatures. 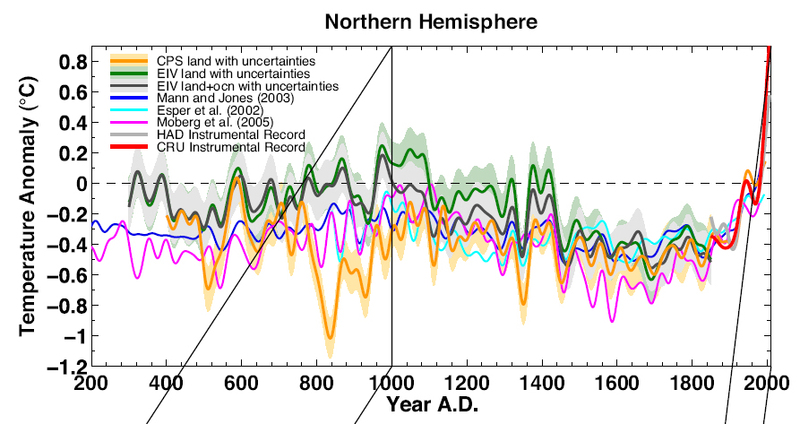 The separate curves for the reconstructed temperature series and for the instrumental data were clearly labeled. The reference to “hide the decline” is referring to work that I am not directly associated with, but instead work by Keith Briffa and colleagues. The “decline” refers to a well-known decline in the response of only a certain type of tree-ring data (high-latitude tree-ring density measurements collected by Briffa and colleagues) to temperatures after about 1960. In their original article in Nature in 1998, Briffa and colleagues are very clear that the post-1960 data in their tree-ring dataset should not be used in reconstructing temperatures due to a problem known as the “divergence problem” where their tree-ring data decline in their response to warming temperatures after about 1960. “Hide” was therefore a poor word choice, since the existence of this decline, and the reason not to use the post 1960 data because of it, was not only known, but was indeed the point emphasized in the original Briffa et al Nature article. There is a summary of that article available on this NOAA site. A butcher thumb on the scale, a dealer dealing from the bottom of the deck and the pitcher using grease on the ball are all “tricks of the trade” too. Deleting data that disagrees with you’re propaganda is in the same league. At that point it would sound much more reasonable to me to throw out all of the tree ring-width data. Re: George B (#15), So if the tree ring data stopped working in 1960 for unknown reasons, what case can be made that it was ever accurate in the past other than they were able to trend fit it for some period of time pre-1960 when an instrument record was available (probably 18..something or another). If these folks had let it run out and said “we think post-1960 is bogus but here it is anyway” then it would have let the readers know “maybe this proxy isn’t bulletproof reliable in all circumstances” or, which their obfuscation on this and other issues makes me suspect personally, they are cherry picking data that agrees with them and hiding what doesn’t. Take that one tiny step further and maybe, as has been alleged, the temperature model they spliced it to in order to “properly” represent post-1960 shows an inordinate amount of warming that is not supported elsewhere. yes, we have heard all the rationalisations about trick and hide the decline. Unfortunately for the apologists none of this managed to make it into any of their press releases, papers, or interviews prior to the release of the e-mails. I am still a sceptic. A team of scientists has developed a circum-northern Hemisphere network of temperature sensitive tree-ring density data that was used to generate a 600 year record of Northern Hemisphere summer temperatures in this study. The calibration of tree-ring data to instrumental temperature records yielded a high-quality quantitative record of past hemispheric summer temperatures. The data used in this study are distinct from the data used in other long temperature reconstructions, none of which have been based solely on tree-ring data. However, as with the other available state-of-the-art long temperature reconstructions, the results of Briffa et al. indicate that the 20th century is the warmest of the last 400-600 years. Many of the short (about 1-5 year) cold events during the last six centuries can be explained by the cooling effects of large volcanic eruptions. The authors were able to compare (or calibrate) their density records directly against instrumental data; note that the tree-ring density records become de-coupled from temperature after 1950, possibly due to some large-scale human influence that caused wood densities to decline. Thus, the reconstructed temperature record after 1960 is considered unreliable. There really isn’t any evidence that they were “coupled” in the first place. Correct me if I’m wrong, but if the tree ring data became “decoupled” after 1960, then why couldn’t they have been “decoupled” at any time (or even the majority of the time) BEFORE the concurrent instrument data – especially given that they only have a GUESS as to why it became “decoupled” later? In other words, doesn’t the “decoupling” indicate that tree ring data CAN NOT be a reliable temp indicator AT ALL? Honest, but very unsatisfactory. Reasons given for divergence are entirely speculative and there is no discussion of the dangers of omitted variables or spurious regression. the language is measures, but the reality is that there is no reason to suppose that divergence is man-made rather than arising from other factors affecting growth of tree rings. K.R. Briffa (and Al, whoever that might be) says that his tree ring data becomes de-coupled from temperatures after 1950, due to some large scale human influence. Does he mean that the decoupling is from actual temperatures or from the “adjusted” temperatures reconstructed from “lost” data, if the latter then he may just be able to work out what has gone wrong here, and which university is responsible for the human influence. God, McIntyre, cover that thing up, will you? It’s obscene! Thanks, bender, for a much needed, full-force belly laugh. I’m tempted to say “you can’t make this stuff up,” but apparently you can. Yes, we know about the divergence problem. Personally I would rather see the post 1960s data continued on the graphs as a dotted line (or similar), and then explained in the legend, since not everyone that looks at those graphs are climate junkies or dendros. What I REALLY would like to know is why is the data deleted from NOAA archives? Isn’t this the whole issue? Were they really well-calibrated? Re: nick (#26), …and who said the instrument record was really accurate either? Bias issues from UHI effect have not been adequately accounted for in it and the instrument record is what the Harry Read me File is all about – it’s a homogenzied, smoothed, “Value Added” product… not to mention that year-over-year we are now using less stations and real measurements, and estimating more and more to create the instrument record. The instrument record was used to calibrate the satellites too, and strangely enough 😉 the two have been diverging ever since. Coincidence? Thank you for calling by, George B. Can you advise on what grounds you can support the postulate that having diverged since (say) 1960, that the MXD proxies have never diverged before. Although ascribed to “possibly some large-scale human influence that caused wood densities to decline.”, on what grounds does this “possible” attribution to a “possible” human influence allow you to assume that it is a singular instance ? Surely, instead of ” Thus, the reconstructed temperature record after 1960 is considered unreliable.” statement, the correct statement from a scientist would be “Thus, the reconstructed temperature record is unusable for any period outside the calibration period”. I can assert with as much actual data support and probably more theoretical support that the proxy has diverged at other times in the past so that reconstructed temperatures badly unestimate the likely variability of past temperatures. Re: Ed Snack (#26), Yep, it’s a circular argument. Assuming you should through out the post 1960 data, is based on the idea that there is unusual warming, which is what the trees are supposed to prove. They are basically saying the trees are an accurate measure of past temperatures, because they are an inaccurate measure of current temperatures. A lot of news outlets are quoting Mann to be like “see, that’s all it is.” When all this is finally worked out, so many papers, tv host, etc, are going look like they have no idea how to report on science. I finally see the real problem with divergence. The trees growing 1950 — on were not subject to the urban heat island effect as were the temperatures used in the comparison base. The trees grow out in the forest, not in the city where the (favored) thermometers are. cant wait to see the NASA files. …which strikes me as a honest attempt to examine the divergence problem before the Mann “trick” became widely applied to hide it. Incidentally one of the co-authors is I.C. Harris. On the CRU web site he is described as “Mr. Ian (Harry) Harris” and his functions are described as “Dendroclimatology, climate scenario development, data manipulation and visualisation, programming”. Could he be the HARRY who produce the programmer’s log. Yeah, what they aren’t so clear about is why the rest of the tree-ring data shouldn’t also not be used for reconstructing temperatures. A question that a scientist would have had answered before using that data for any purpose. Instead, the Mann et al plow ahead, hiding the decline. “Hide” was therefore a poor word choice, since the existence of this decline, and the reason not to use the post 1960 data because of it, was not only known, but was indeed the point emphasized in the original Briffa et al Nature article. “Hide” was therefore a perfect word choice, for hide was exactly what was done. Hidden in the text of an article that few will read, hidden from the later derivative articles, and from the graphs and summaries that appear in the mass propaganda for the policy makers, the non-team ‘consensus’ scientists, and the peons. Climate Gate – Evangelical eco christian developed some CRU code…? All information below are in the public domain, and links are verifiable. All the following was simple put together via google searches. Please do your own research, verify the information and decide whether newsworthy or not. Someone who WANTS to believe that humans are bad, damaging to the environment. Not Dr Tim Mitchell yet, look at the date, he is just a research student developing the computer models for the ‘researchers’ to use in climate change Reasearch unit. Yes, this is the guy harry is referring to in that Harry_Read_Me.txt file, ‘what did tim do’ while trying to make sense of all the code, recreate data, etc,etc,etc. just one of very many very worrying extracts below. “On we go.. firstly, examined the spc database.. seems to be in % x10. Looked at published data.. cloud is in % x10, too. Whilst many people of faith are excellent dedicated professional scientists. I have a few doubts that an evangelical eco christian (my label), that obviously is passionate and committed to the above, may not be perhaps as open as they may think they are, perhaps they should be, to both sides of the debate. this time. Apparentally on a new more spiritual direction. Evangelical Protestant college for the training of preachers and pastors. Provides degrees up to Masters level. includes course details and resources. Did anyone think, it was teams of professional programmers developing robust code? for a climate change modelling system and datasets, driving tens of hundreds of billions of dollars of taxes and investment. Back to the code, and the harry_read_me.txt file. this comment has been submitted to the Uk Telegraph, and one or 2 places elsewhere allready. a much lomger post may have gone adrift. Look at the author, of the article, he’s the guy in the Harry File, when Harry asks, What the hell did tim do, as I keep asking. the fact that the church is actually called ‘south park’ is hysterical. if it were fiction, it would be laughed at as totally unplausible. Thank you, JB at YourVoiceMatters for setting up your search capability. Especially the list of names, subject matter and phrases. Just reading those lists spark new discoveries in these emails! And the search function works so fast, even on my slow computer! Mr. Mann thought the divergence might have been human caused (pollution). However, and note this carefully, not once did he rule out leprechauns. Mann shows us the MWP Medieval Warming Period. Remember back when the Viking Barbarians were feeling their oats after they had plundered Europe then set off to discover new lands. The oceans had risen about 1 meter and the Vikings knew that Thor the God of Thunder and War wanted them to put plunder on hold and ride the rising ocean waves in search of more victories and conquer. Someone on the boat yelled: Green-land HO! It was so beautiful, Greenland. Children playing around little smoke filled huts, mild winters and sheep grazing on grassy knolls. So nice for the old Viking warriors to sit around, drink beer, smoke their pipes and laugh about old times. just sit around, retire, reproduce and watch Brett Favre destroy the Giants on the 65 inch screen. Then all of a sudden Thor- God of Thunder and War got pi$$ed because of the lethargic faithful and froze everyone’s @ss, the shallow ports froze and rowing a Viking boats was too painful. Can someone clarify if any temperature reconstructions do NOT rely on this tree-ring data? Also I noticed some climate scientist posted on this thread – can you clarify why the tree-ring data is expected to be a good proxy for the period 1000-1850 (i.e. before the thermometer temperature record begins), given we know it is not a good proxy for 1960-2009? How can we know the same problem did not occur in 1000-2850 thus rendering the reconstruction useless? How can we know the same problem did not occur in 1000-2850  thus rendering the reconstruction useless? I’ve been searching all over the web and cannot find an answer to this issue. I’m sure there’s a quote out there somewhere involving Grasshopper, too. Can someone clarify if any temperature reconstructions do NOT rely on this tree-ring data? Their results show a MWP .3 degrees C warmer than present, though the confidence intervals for the two time periods overlap. What sense does it make to create a series / a diagramm with those data? Is that – in any way – solid, is that even a scientific approach? What sense does it make to create a series / a diagramm with those [i.e. divergent tree-ring] data? Is that – in any way – solid, is that even a scientific approach? I should say it is, in case you decide to use tree-ring data AT ALL despite the divergence issue, because doing so neatly warns the reader about the inherent uncertainty and unreliability of the proxy. What I still haven’t seen anywhere is a plausible explanation (not vague guesses but a logically solid argument!) why this sudden “decoupling after WW2” happened? Did trees suddenly suffer from the Cold War, or what?! Occam’s razor and common sense tell me that something that does not reliably correlate with measured temperatures during all years for which the comparison is possible (i.e. early 19th century to present, no matter if that “present” is 1940, 1980, 2009 or 2030) can not be reasonably claimed to correlate during periods for which there is no instrumental record, and thus is not a valid proxy at any time. If trees are a worthy proxy, one should be able to predict the ring-widths for the past 200 years even before coring another tree, by perusing the known temperature record, and I suspect there’s a good reason we have never heard of that being even attempted. Any data proxy worth the name, once properly calibrated to a certain period, will give correct output for every period outside the calibration period (within a known range of error) by definition – no divergence “surprises” allowed. So one should currently best forget about tree-growth as a proxy for temperature altogether (to be on the safe side), or at the very least highlight the obvious divergence problems in each and every graphic where treegrowth-derived “temperature” curves are used, by contrasting “treemomenter” and real thermometer curves rather than merging them. The falsification lies in obscuring the fact that dendrological curves can only show tree-growth but not temperature, as long as nobody can present a reliable mathematical function to convert one into the other that works under all circumstances (i.e. one that with an input of treering-widths outputs the degrees Celsius experienced by that tree, just like you input current and voltage into Ohm’s law and output electrical resistance, without any further assumptions and ad-hoc adjustments aka “hiding” or “fudging” necessary). I have not yet found such a formula here or anywhere else (except weak attempts, basically worthless for the purpose because they involve use of unexplained “error” terms of much larger magnitude than the temperature to be computed). Please correct me if I am missing something. BTW I personally still suspect that the “divergence” works the other way round: The decline in tree-growth may well be a true indicator for (sinking) temperatures, as it is less easy to falsify tree-rings compared to measurement data. Has anyone checked yet whether the HadCRUT curve doesn’t agree quite closely to tree-growth after 1950 if the 2.6°C “artificial correction” is removed? The original selection was to find temperature-sensitive species/sites/trees, and distinguish them from non-sensitive species/sites/trees, by calibrating them to the instrumental temperature record. Those that correlate with temperture are sensitive. Those that don’t are not sensitive and are discarded. If the original calibration correlation was spurious, and purely by chance, then what we would expect to see afterwards is regression to the mean. This means the correlation would immediately disappear after the calibration period. I’ll try and answer some of the questions. 1. Trees appeared to respond ‘accurately’ to warming and cooling before c1960. 2. This seems to be a northern hemisphere problem. Southern hemisphere trees do not appear to show the same ‘divergence’ problem. 3. Whatever tree ring or other proxies may or not show about little ice-ages or medieval warming in itself proves nothing; the late 20th century warming could have been caused by CO2 in a way the presages a dire future for man or in a natural way that carries no danger. There are two basic options. Either the trees are responding to temperature changes after 1960 in the same way as they did before or they are not. If they are, it means the measured temperatures are in error. This alternative would seem to imply that all temperature series used for late 20th century calibration had a similar problem of urban heat island temperature elevation. Possible but unlikely. 1. It is widespread in the northern hemisphere (therefore, for example forestry practicices are unlike to be an explanation). 2. It does not affect the southern hemisphere(therefore any pollutant which gets uniformly distributed over the earth could not be the cause). If this factor can be identified, and after 20 years of speculation it has not, and be shown to independent of temperature, then tree ring proxies can continue to be used for earlier years. Until it has been identified tree ring proxies must remain suspect. More than one study closely analyzed on this site recently suggest that tree ring proxies are more attuned to precipitation than temperature. What is becoming increasingly confusing is the temperature record that was grafted on post 1960 and more importantly post 1980(when the sattelites kicked in). It is the temperature record that I think should be concentrated on, not the reconstructions. Who would deny that there was a Greenland? How can we “fer sure” know that it was X degrees +/- 0.5 warmer now than it was back then? WE CAN’T!!! Let’s move on. If the news article described the analysis correctly, a set of relatively young trees (planted in 1953 and harvested in 2006) showed this unanticipated relationship. The trees appear to have been part of a “tree farm,” rather than out in some place where they would be expected to be especially “sensitive” to temperature or rainfall; and sure enough there was hardly any correlation to either one. This, or other factors like it, may help explain the divergence between tree ring width/density and the temperature record after roughly 1950-60. Until it’s explained, it seems hard to put much faith in climate reconstructions that rely on tree rings. It’s even harder to have faith in people who “hide the decline” in the tree ring data when they’re preparing graphs for public consumption. Trees appeared to respond ‘accurately’ to warming and cooling before c1960 [and in Southern Hemisphere]. What specifically, in terms of statistics, do you mean by “appeared to” and “accurately? Is this true for all data anybody has ever looked at, or just for the small subset of the data selected for inclusion in recent studies? If they are not it means that a new factor has caused the relationship to break down. No, we cannot conclude it was “new” — it may well have been something that repeated itself early, example during the MWP. Indeed, the most likely explanation, after the inherent unreliability of tree ring data as a temperature proxy, is that there is a threshold effect — beyond a certain temperature trees stop becoming good temperature proxies. In which case the MWP would be masked. An objective scientist would consider and discuss all these possibilities, why don’t you? Tell that to the activists and politicians who use the Hockey Stick as their main form of propaganda. The quality of the science here matters a great degree: to the tune of tens of trillions of dollars it matters. Which is yet more evidence for the objective person that the tree ring data are not reliable proxies of temperature in the first place, especially not when wielded by political activists. P.S. a third logical explanation for the lack of calibration from 1940 to 2009 — which I don’t consider to be as likely as the inherent or threshold reliability of tree ring data, but should be included for completeness — is that the tree rings are reliable, but the real thermometer record is not, for example because of the heat island effect. In which case, it’s impossible to calibrate proxies against any “real” or “true” temperature, the best we can do is compare proxies. A fourth logical possibility of course is that both tree rings and the real thermometer record are unreliable. If I recall correctly, Craig Loehle did a global reconstruction using only ice, sediment cores, stalagmites, coral, and other non-tree data. Look around Idso’s co2science.org and you’ll probably find a summary of it; google “craig loehle” and you’ll find his site, which has pdfs of all his papers. CO2Science, by the way, has an extensive database of papers on the MWP; hours of heavy-duty climate science browsing. 1. Do the published data on temperature, precipitation and other variables accurately represent the change to climate over last century or so? 2. Do the models simulate this past temperature, precipitation and other variables to a high enough degree of accuracy that their forecasts become believable? Today I visited a conference on climate research organized by the Hungarian Academy of Sciences. The last presentation was about the so-called “divergence problem” in case of tree ring based temperature reconstructions. The lecturer argued that the data for any period where this problem exists must be discredited, but it does not have any significant effect on the validity of the whole reconstruction… (no comment) Anyway, he didn’t even mentioned the hockey stick controversy or YAD061. The biologist in me wants to rip your head off. Let us suppose for a moment that the introduction of exotic species (e.g. the European earthworm, nice, rats, sparrows or even the Dandelion into North America)means that a Tree in 2009 is not in the same ecological niche as the same tree in 1909, 1809 or 1709. You might not get it, but humans have a huge impact on the environment in ways that are difficult to understand. For all you know the pine trees in California, that are used as temperature proxies, were naturally poisoned by roosting passenger pigeon. Went they went extinct the trees when into a boost phase , that ended in the 50’s. YOU CANNOT KNOW. The land has changed too much, the ecosystem has changed too much. the flora and fauna have changed too much for any conclusions to be drawn from the growth patterns of tree rings. Here is my take on the divergence problem. J. Murray Mitchell was a very careful climatologist who constructed hemispheric and global temperature reconstructions in the 1960s and 1970s. Some information on Mitchell’s temperature reconstruction for the Northern Hemisphere (0-80 N) comes from his paper “A preliminary evaluation of atmospheric pollution as a cause of the global temperature fluctuation in the past century.” The paper appears in the book Global Effects of Environmental Pollution published in 1970. The book can be found on google.scholar. The last temperature anomaly for 1970 comes from an NCAR publication from about 1975 where Mitchell estimates the 1970 temperature to be the same as for 1910. The correlation between Mitchell’s number’s and Briffa’s numbers is 0.77 or 60% of the variance is common. The amplitude of the Briffa temperature variations is about half of what Mitchell calculates. Briffa gets a 0.34 C warming to 1940 compared to 0.52 for Mitchell. Briffa’s cooling to 1970 is 0.47 C, compared to Mitchell’s cooling of 0.35 C.
These results are suggestive that Briffa’s uncorrected MXD values are a good proxy for the temperature variations of the Northern Hemisphere land masses using Mitchell’s temperature reconstruction. An additional comment: Briffa does only summer temperatures and Mitchell does the entire year. Trends tend to be larger in winter than summer, so it is not surprising that Mitchell’s trends are larger. The problem with Tree rings and calibration on recent timescales in respect to dendrochronology and climate is IMHO simply to explain by knowing how a tree grows. The outer rings have less density but in time they will achieve more density. Fresh rings can either reflect to humidity but also to browsing by wild animals etc. However the inner and older rings can be useful and are stabile in time. Especially on coniferous woods it will therefore never be possible to get any matching calibration over recent periods. Timescales will of course always work but is not the matter here. J. Murray Mitchell was a very careful climatologist who constructed hemispheric and global temperature reconstructions in the 1960s and 1970s. How many other reasonable constructions are there besides Mitchell’s from 1980 or earlier? It would be interesting to do comparisons against all of them, or if there are too many of them, against a random selection of them. How do I know that Mitchell did not draw our attention because it happens to have an uncommonly close correlation (the “lucky penny” effect, the same way we can select mutual funds that seem to have been very good at beating the market, but then fail to continue to perform well — they just happened to be uncommonly lucky winners in prior years, and thus drew our attention). Is this statistically significant? Don’t a significant fraction of pairs of random anomalies have correlations greater than .77? Am I reading this correctly that there are only 16 data points? What happens to the correlation coefficient when we add instrumental data from 1970 to the present decade to Mitchell’s series? Yes, but the divergence problem presents a much stronger suggestion to me that they are not a good proxy, especially not for concluding that past temperatures were not much warmer than today’s (because of threshold temperature being a possible explanation of the divergence). The only other early temperature reconstruction that I can recall was done by Budyko in Russia. I think his results were very close to Mitchell’s. The multiplicative constant for the two time series is 0.54 +/- 0.12 or 4.5 standard deviations. The relationship between them is statistically significant, but would be reduced a bit if an autocorrelation correction were made. The divergence problem seems to arising from the poor temperature reconstructions by CRU and GISS. Problems with these temperature reconstructions have been pointed out many times, on the web and in the literature. Slight correction to my last post. It was not Budyko who did the temperature reconstruction; rather, it was Spirina, who Budyko quotes. Spirina, L. P., 1971. On the influence of volcanic dust on the thermal regime of the northern hemisphere (in Russian). Meterol. Gidrol., 10, 38-45. Looking at the plot in that paper, the temperature anomaly in 1900 is 0.0 C and in 1967 is about -0.05 C. There is a rise to a maximum of 0.4 C around 1935 followed by a steady decrease. I think everyone is missing the entire point of climategate. Only one research unit’s emails have been released, and they show a shocking departure from good science. In other words, 100% of the clmate reasearch organizations that have become transparent to the public have been shown to be using tricks, hiding and withholding data, and committing other anti-science sins. When are we going to have similar releases from the rest of the organizations that are involved in making the case for AGW? Will the bad science percentage stay at 100% or are there some honest and ethical groups out there? Correlation is not causation. Until we fully understand the causal factors, any divergence between tree ring growth and temperature immediately invalidates the entire proxy. And I think there are far too many causal factors affecting tree growth for tree rings to ever be used as a reliable proxy for temperature. Let me give you some admittedly anecdotal evidence to illustrate this point. I have two 60-year old Japanese maples in my back yard. Over many years I have observed that they grow more luxuriously and seem much healthier whenever we get a lot of rain in March. I live in the Bay Area. We get almost all of our rain in the winter months with it gradually dwindling in the spring. The health of the trees is not affected by the overall precipitation for the year. We can have a very wet winter and a wet April and May, but if March is dry, the trees just don’t do as well. Conversely, in a dry year that happens to have a lot of precipitation in March, they will still do well. So much so, that I now always give them a deep watering in March to ensure their health throughout the year. Now, in general, a dry March usually means a hotter, drier year in the Bay Area, but not always. So if you cored these two trees, you might see an general inverse correlation between tree ring growth and temperature for the year. In actual fact, all you are really seeing is a correlation with precipitation in March. Plants, including trees, are very sensitive to when certain events happen during their yearly cycles, such as first/last frost, when they get rain, etc. It is entirely possible that we are seeing something like this in tree ring growth patterns. Yes, they may generally correlate with temperature but it may have nothing to do with temperature but rather the timing of certain events. Divergences are always possible due to unusual weather conditions during a particular time of year. Thus, I don’t believe plant growth can ever be used as a reliable proxy for temperatures. Here’s a nice youtube video to help you all remember to hide the decline. In lay terms, the post 1960 Divergence should have come as the thirteenth stroke of the clock, casting doubt, not merely on its successors, but on all its predecessors. The problem with what you are asking is that the data is not available. It is possible to show a graph of recorded (thermometer) temperatures at specific sites for maybe 200 years (not 2,000). These will show increasing temperature. Tree-ring data is used as a proxy for thermometers back beyond the recorded times. There is not very good evidence that its particularly accurate for that purpose, in fact, even their own data indicates that, but there is no simple way to express that. You have to understand what they are doing first. I don’t think that anyone disagrees that temperature is rising. What is in dispute is if the rapid rise in recent years is actually real, or if it might be due to urbanization affecting measurement sites. As for the rise over many years, this is probably just a continuation of a rise which has been happening since the last ice age – in other words, “normal”. A graph of CO2 effect on temperature — well, no-one has done enough research to be able to quantify this, so there is little chance of being able to draw a graph of it. Id CO2 a greenhouse gas – yes. How much effect does it have at low concentrations in the atmosphere, and what other processes effect the concentration and its effect (as a GHG) — who knows? Its all a hand-waving claim. The claim is made, based on no, or very little actual evidence, and you, as a skeptic are left to debunk it based upon what? There is no real scientific evidence one way or another, except that CO2 actually is a GHG. So you can’t debunk it (any more than they can substantiate it, but they don’t have to, they already sold the idea). There is some merit to the idea of creating some sort of presentation (film?) describing the issues in laymans terms, but the vested interests will just tear it to shreds anyway. The only real solution is to do as people here (and elsewhere) are doing, which is essentially a delayed peer-review of the evidence which has been presented and to expose any weaknesses that way. its chipping away at the foundations, which is probably a much more solid way to making progress, even if it is slow. snip – try to comment on articles in question. Due to the divergence problem (caused by whatever) it is CORRECT to leave out the data after 1960. And it is NOT CORRECT, to include them, like Mr. McIntyre did. Re: Fritz (#69), so this relates to an earlier comment, where a Hungarian lecturer had asserted that it was OK to truncate, and use the earlier portion. But the proxy is compromised (a bit like a certain prof. in a certain corner of England)! Unless you can explain the divergence, and understand why it operates now but never in the past, you can have no confidence that your proxy is good for the ancient years. One out, all out, I say. So is it ok for NOAA to make existing data disappear, using the same code for no data even existing to begin with? Re: Fritz (#69), It may be OK to leave out the post 1960 data if you make it clear that you have done this on your graphs. However to then splice on the thermometer record to make it look like the data is consistent with the recent thermometer records is just wrong, especially if you know that your graphs will be taken out of context by the media and politicians. Re: EddieO (#79), I would say that it is never right to leave out the post 1960 data. Briffa got it right in his original paper. The IPCC should have kept that plot, not fiddled with it to make that problem go away. Additionally, every time someone leaves out a portion of the data during calibration, they should (at a minimum) run the analysis with the “bad” data included to show those results as well. It is irresponsible and misleading to do otherwise, unless the reason for the divergence is firmly established (which it is not). Yes you are probably right Ryan, but I am trying to be generous to their point of view since the’ve have had a bad week. If divergence from the temperature record is apparent after 1960, perhaps you can argue that some new unknown influence started at that time. Conversely if divergence is not obvious before 1960 perhaps the pre 1960 tree rings do contain a climate signal. But what changed in 1960? Also, stay on topic or take it to Unthreaded. Overlay of surface temperature from IPCC 2000 with IPCC 2007. “The use of the term ‘hiding the decline’ was in an email written in haste,” he said. You know this man would never lie to us and all of you should be ashamed of yourselves. Now, can you please help me with a personal problem? I need to stop beating my wife. The whole tree-ring nonsense should be shot out of the water from scratch. Firstly, we already know that plants grow faster in CO2 enriched atmospheres, so tree-rings will be affected by changes in CO2 – thus the tree-ring data may just be showing us what we know, that CO2 is increasing and this is helping trees grow. Secondly, we know that tree growth is affected by a multitude of factors. Increase cloud cover will decrease photosynthesis and reduce tree-growth rate. It is therefore impossible to relate the tree-ring data directly to temperature from a scientifc viewpoint. Thirdly, the tree-ring data is averaged out over periods of a year. Thus the temperature on August 1st 1960 could have been 35Celius and on August 2nd could have been 15Celsius. The “averaging” effect removes this detail and thus the inherent variance from the conditions. The same is true of Stevenson screen data, which also tends to be averaged such that the variance is removed. 0.5Celsius is difficult to spot within a daily variance of 20Celsius. A distribution of temperature data taken from the same day over a two hundred year period will show the likelihood of increase in the means over a shorter period of say 50 years, bearing in mind the scale of the increase is undefined and that if the line had trended downward then exactly the same people would be warning us now of “the next ice-age”. Fact is that statistically you can’t even rely on the Stevenson screen data to give you an accurate picture of climate temperatures down to 0.5Celsius, so expecting tree-ring data to give you even greater accuracy and then expecting them to corelate is plain crazy. The writer is a highly respected climatologist. Is what he is saying correct? If so, why was this procedure for getting data he writes about used? If he is not correct, where is he not correct? To add to what NickB said above, if you don’t release your data, code, and methods by which you arrived at your results – in a timely fashion and so that anyone interested can access them – you literally don’t have any results to either promote or defend to begin with. Or at least that’s the way Science used to work. The writer is a highly respected climatologist. if so, then why didn’t he mention the above problem? His defence of the “lost” CRU data is inadequate, unless CRU can say exactly what the data is that they used, not merely where it might be located amongst other data. Climate Audit comes off rather well in all this. Issues they had flagged and followed for years show up as issues in the leaked e-mails. If anything, the emails demonstrate that Climate Audit is a reliable site for pointing out problems and issues with a select set of papers. Steve, you may want to speak to JNG’s criticisms of you personally, which follow this quote, and you may also want to ask him to appear as a guest commentator at CA. He seems to have fewer axea to grind than most of the pros we’ve seen. The “reconstruction” shows “anomalies” with reference to a period for which they are embarrassed to show the reconstruction’s actual curve. The third option is to keep repeating the errors of the past. What are the most powerful underlying reasons for “the Team” to continue to support claims and conclusions that are so easily, if not completely refuted, when brought under scrutiny by other scientists? Since when was robustness testing a sin or bad practice? When did it become ok to produce a model or simulation that simply falls to pieces when using something else than “cherry-picked” datasets? It seems that it is the states and instances that fund this research that have the most to lose in terms of potential green tax money and credibility in the eyes of the public. An enormous, world-wide system of trading emissions, taxing various forms of travel and such has been built upon a seemingly questionable cake of fluff that ClimateAudit for one is bringing out and clarifying to more and more people. I’m not a scientist and am trying to get a grip on all of this. Why anyone would even think tree ring data can show temperatures if there is a “divergence” with actual measurments taken with instruments during the last half century. In their attempts to prove that CO2 has been the cause of the recent warming spell, GW proponents have to wipe out the Medieval Warm Period that had a similar warm spell that could not possibly have been caused by humans. So they tried to use tree ring data to do it. First, Steve caught them using corrupt statistical methods. And now we see that they have been trying to hide the fact that tree ring data has not been showing actual temperatures since 1960. So, their whole GW theory has just been debunked. Steve: You’re way overstating things. See comment 55. It is likely that the CRU and GISS temperature reconstructions are erroneous. Two independent reconstructions by Mitchell and by Spirina agree with the Briffa deleted time series. As far as I can tell the only way to use tree rings as temperature proxies is to measure recent (last 100 years) rings vs. known local temperature measurements to come up with a variable to convert ring width to temperature and then apply that variable back thru time to try an reconstruct historical temperatures. What it looks like they did here was assume a variable and when the post 1960 data no longer matched that number simply ignored the data from 1960 onward. But that data should have been part of their calibration data and should have caused them to adjust their variable for the entire proxy history because if it was used as part of their calibration data then it would not have diverged so violently. They had to ignore it because if they included it their variable would have moved and adjusted their entire historical reconstruction and we can guess what direction that would have moved historical temperatures. This is the time for a serious push by prominent members in the science community to recast the image of the IPCC from unbiased “search for truth” holding tank of scientific data on the subject of global warming that which it is – a supernational special interest group. “The IPCC is a scientific body. It reviews and assesses the most recent scientific, technical and socio-economic information produced worldwide relevant to the understanding of climate change. It does not conduct any research nor does it monitor climate related data or parameters. Thousands of scientists from all over the world contribute to the work of the IPCC on a voluntary basis. Review is an essential part of the IPCC process, to ensure an objective and complete assessment of current information. Differing viewpoints existing within the scientific community are reflected in the IPCC reports. I have the Emails and have read many. I am apalled and have lost a lot of faith in so called experts. When I talk to people on the street they are more inclined to call the Emails bunk than the bunk science. These people have done serious damage to our scientific process. An observation- Ten thousand yrs ago Peggy’s Cove NS was under a mile of ice. That ice has been receeding ever since and is now thousands of miles north of Peggys Cove. It appears that Ed Cook was the first to notice the missing decline. 2.) You calibrate the (questionable) proxy to the (presumably reliable) instrumentally measured temperature. This means you pick tree species/ring-growth patterns out of your data that, ipso facto, match the temperature record for that period. 3.) You get a resulting curve that, axiomatically, matches temperature and proxy. Because correlating the damn things is bloody well exactly what you set out to do! 4.) Then, provided you are interested in truth, you compare your calibration period predictions of ring-widths based on observed temperatures with subsequent measured, actual ring widths. If the widths match, based on your predictions, you may have discovered an actual correlation, and you need to continue to show that it holds for all circumstances. OR if the predicted widths don’t match the real widths (i.e. you have a “Divergence Problem“), you are done. You haven’t actually found a real-world correlation. Toss the paper in the recycling bin and go do something else. 4alt. )That is, unless you work in climatology, in which case you keep your Calibration Curve, and splice on the Increasing Temperatures you expect to see, instead of the real declining “proxy” measurements. Qick quibble: please don’t interchange the terms dendrochronology and dendroclimatology, which is like confusing astronomy with astrology, or chemistry with alchemy. I’ve always taken a lay interest in the field of dendrochronology, since my grandfather was one of A. E. Douglass’ assistants in the 1920’s. D-chron is the (by now) well-established science of compiling tree-ring patterns from a given geographic region into a composite time-scale, which has been extraordinarily useful in dating archeological sites/artifacts, and calibrating C-14 readings. But there is one huge caveat: all D-chron does is match patterns- it doesn’t attempt to read supposed causation into them or otherwise treat wood like tea-leaves. Whereas dendroclimatology attempts to do precisely that, despite a complete lack of any evidence of its correlative robustness, and rather suggestive evidence that it has none. As others have remarked above, there is simply no way (at least given existing art) to filter out any identifiable temperature signal from the background noise of precipitation, competing vegetation, CO2 self-fertilizing, effects of wildlife etc etc etc etc…..
Re: Bill Hicklin (#100), Exactly so. I grew up near Mesa Verde, and so absorbed DendroChron with my mother’s milk. Great stuff. Then they started talking about DendroClimatology in the late ’60s or earlier and stated unequivocally that the 13th and 14th century Anasazi migrations out of the higher Colorado Plateau were due to *drought*, which accorded with their previous ideas. How did they know? The tree rings were thinner! We went to such a talk once upon a time. My dad, iconoclast that he was, asked if they might have been thinner due to colder climate. Embarrassed Silence. Speaking of the instrument record, in New Zealand (source: http://www.examiner.com/examiner/x-25061-Climate-Change-Examiner~y2009m11d26-New-Zealand-climate-agency-responds-to-charges-of-data-manipulation?commented#comments)it is claimed that they use “Internationally accepted techniques” to QA the raw data. Where are these “techniques” published? There is a more fundamental problem with “the trick”. On one of the other posts you can see how the different proxies do not agree–they sort of wiggle up and down with respect to each other. That is, even if valid they are only approximately correct in any given year. Mann’s trick of using the instrumental data to pad out the proxies into the future in order to use the 50 year (or other length) smooth assumes that at the end point for the proxy, the instrumental data and the proxy match exactly at their endpoints (are stitched end to end like two pieces of hose) [I think I have this right] but they are almost never matched up like this over the rest of the 20th century. In fact, if you pick any other period to compute anomalies besides 1961-1990 the trick won’t work. THIS is why Jones did not want any other anomaly period chosen. Another point about the 1961-1990 anomaly calculation: by picking a recent period to set all the series equal to 0 (as anomalies) you force them all to come together and match the instrumental record artificially. It looks like they all agree more in the recent years than in the past but this is totally based on which decades you choose for calculating anomalies. I suggest that picking any particular short period to calculate anomalies is false because the proxies vary so much. Only by making each one an anomaly against itself over hundreds of years (the entire record if possible) do you get a true picture, not over a couple of decades. By the way, how did they calculate anomalies for the Briffa data relative to 1961-1990 when the data were truncated in 1960? Did the do the anomalies with the post-1960 data (as if it was valid) and then chop it? Because they had to somehow make it come out right in those decades in order to stitch the instrumental data on it. Re: Craig Loehle (#105), See my comment #88 above regarding their method of “calculating” the anomalies relative to 1961-1990. Their method is stated in the email Steve linked to in the original post. It looks as though they decided to “say” the anomalies were as shown, because the mean “matches” in the period before 1960. The math principle, if there is one, is over my head, but it surely looks strange. Interesting point, Craig – this is an obvious, and simple, test of the robustness of the method. Also, I think one has to redefine “value added” for any of their recent claims to be correct. Another point about the 1961-1990 anomaly calculation: by picking a recent period to set all the series equal to 0 (as anomalies) you force them all to come together and match the instrumental record artificially. I don’t think that’s right, Craig. If there’s a constant in a regression, the regression residuals must sum to zero over the calibration period. This implies that if you regress a proxy on instrumental temperatures, the predicted values of the proxy must sum to the actual values of the proxy over the same period. Then if you invert the regression to get predicted temperatures from the proxy, dividing by the same slope coefficient you multiplied the temperatures by to get predicted proxy values, the temperature errors will just be scaled versions of the proxy errors, and so the predicted temperatures must sum to the same value as the observed temperatures, again over the full calibration period. However, there is no particular reason that either the regression residuals or the temperature errors would sum to zero over the reference period. The choice of reference period may have some subtle implications, but I don’t think this is one of them. The same would be true if someone inappropriately directly regressed temperatures on the proxy. Of course, splicing a common temperature series onto the end of a proxy reconstruction before smoothing will force the smoothed “reconstruction” to look like smoothed temperatures at the end. I don’t think that’s a problem either, Craig — It would be quite possible to truncate the Briffa data at 1960, and then calibrate what’s left to instrumental temperature that has a reference period of 1961-90. The resulting reconstruction would still be referenced to 1961-90, and would give plausible results if the temperature data were spliced onto it before smoothing. The curves wouldn’t match up well, however (I think), if the full Briffa series were calibrated to instrumental temperature and then truncated back to 1960 before splicing. But of course, the correlation with temperature probably wouldn’t be significant if the post-1960 portion of the series were used for the calibration. It might even be negative! It was probably surely only by cherry-picking the early part of the series that it appeared to be a temperature proxy. Hu, I understood Craig’s point to be about the graphical presentation, not the regression. If you graph two series so that the values are relative to, say, their 1970 value, and normalize them, then they will appear very close in and around 1970. But if you started them equal in 1880, they might be far apart by 1970. IMPORTANT NOTE: We are now exporting all CA content to a new permanent home. This will take a few hours. Please comment at CAmirror above in the meantime. 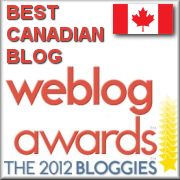 We cannot guarantee your comments will be automatically ported to the new site.